The following representatives may be contacted for any questions about the RightDirection Seaport-e vehicle, including general information on our contract, customer satisfaction, and how companies can join our team. RightDirection understands the value small businesses provide to procurements such as Seaport-e. RightDirection possesses the multidiscipline experience in all zones (1, 2, 3, 4, 5, 6 and 7) and provides a skilled, trained and knowledgeable work force with capabilities in all 22 functional areas. RightDirection has assembled a diverse team business to perform the work on Seaport-e and to assist the government in fulfilling its mission. 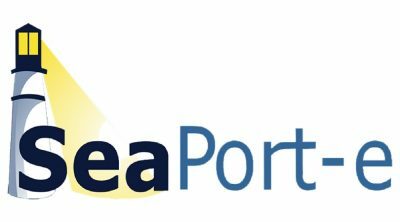 RightDirection Seaport-e Team has the combined ability to support Seaport-e’s complex tasks at the highest level of quality, while maximizing small business participation. RightDirection is commitment to its customer focused, performance driven quality policy begins at the highest level of management who are committed to the implementation of the Quality Management System (QMS) to meet or exceed customer requirements through proven work methods including ISO 9001:2008, ISO 9001:2015, ISO/IEC 20000, ISO/IEC 27001and CMMI and delivering what we promise with flexibility, quality and integrity. Our President & CEO, Joey Hutchins, leads our commitment to excellence and continuous improvement by emphasizing exceeding customer expectations, highest quality, low cost, innovation and inclusion, safety, technical excellence and high ethical standards. RightDirection’s high degree of customer satisfaction with our products and services is attributed to our highly skilled people, proven processes and continuous improvement at the corporate and program levels. RightDirection’s QMS provides a robust framework for monitoring and maximizing quality on SeaPort-e task orders. To ensure consistent quality performance, work processes for each contract and task are documented and the pertinent performance measurements associated with each process are defined. These metrics address such key factors as cost (budget), schedule, work volume, and work quality. Performance against each metric is tracked as an integral part of our work activities, and the real-time status information is maintained in our performance management systems so customers and managers can have up-to-date information on all tasks.